Hilversum, 7 December 2016 – NEC Enterprise Solutions, leading provider and integrator of advanced IT, Communications and Networking solutions, today announced a new addition to its award winning HYDRAstor secondary storage platform, a Virtual Appliance designed to allow for extremely rapid provisioning of backup storage into virtualized environments and to provide off-site backup capabilities ideal for small sites and branches. 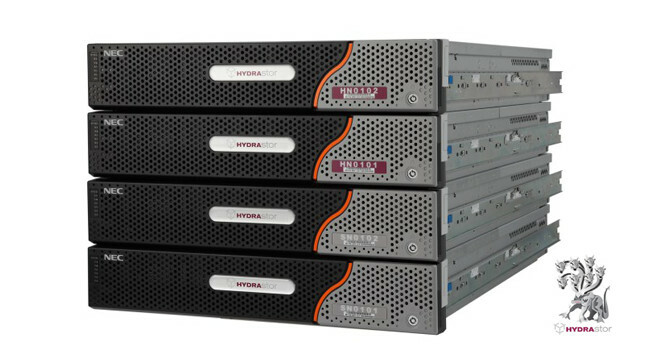 HYDRAstor, which is part of NEC’s Smart Enterprise solutions that are designed to improve the way people work and communicate, was selected Silver Product of the Year winner in last year’s Storage magazine/SearchStorage.com Backup Hardware category, Interop Storage Winner at Interop and Gold Winner in Network Products Guide 2015. NEC HYDRAstor has all-in-one features to protect, access and manage data and is therefore considered as the perfect platform to boost the Enterprise Digital Transformation. Virtualization simplifies IT system platforms by consolidating servers and storage systems and separates software lifecycle from hardware lifecycle, freeing IT managers from complex compatibility work. Adding virtual appliances of backup storage into the picture helps organizations by eliminating separate hardware management and providing business agility. The Virtual Appliance is the perfect companion for NEC HYDRAstor. It can be deployed as a Cloud extension, a remote office local service or at the periphery of a physical HYDRAstor. It can be used also as a standalone entity or networked with other VAs. The HYDRAstor Virtual Appliance is also perfect for the SMB market segment with generally less data volume. Market dynamics and ever increasing demands of today’s data centric industries are finding their way to organizations of all types and size and NEC’s virtual appliance solution meets these needs with a simple price structure, while delivering an enterprise class feature set and performance.